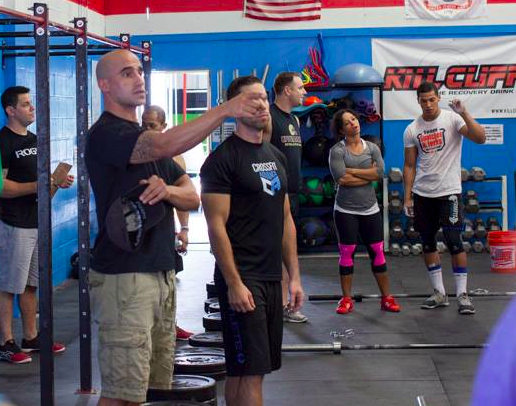 Every CrossFitter does the same WOD (workout of the day), regardless of training age, ability, and goals. CrossFit programming is completely random. CrossFit movements occur only in the sagittal plane. When doing CrossFit, breakdowns in form are allowed when racing against the clock. For the inaugural episode of the Fitness Pollenator Podcast, I have with me Coach Tom DeVietro of CrossFit Advance and Max Effort Fitness (in Southeastern, PA) to clear up some of the misconceptions I allude to above. Find out how Tom and his team are making a positive impact on hundreds of lives by perhaps doing things a little differently from the average box. For more about Tom, check out this Coach's Spotlight. To listen to just the audio of the podcast, click here.